I wrote an essay (it’s on this site) about the large part played by chance, which I called contingency, in determining what happens. I read a good illustration of this when newly released papers shed light on what happened in the US in 1968, and what might easily have happened instead. The Democratic convention in Chicago was marred by street demonstrations and a hard-line police response. 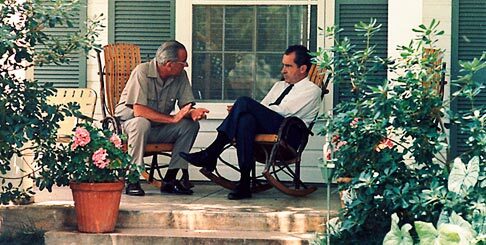 Newly-released white house tapes reveal that President Johnson, known as LBJ, who had withdrawn from the nomination process, feared that his chosen successor, Hubert Humphrey, might be rejected along with his Vietnam war policy. It certainly would, and given that Nixon won that election with a wafer thin margin over Humphrey, Johnson might easily have won it had he been the Democratic candidate. Why didn’t he do it? The recordings show that he asked Chicago Mayor Richard Daley if the party would back him. It was that close. Had the Secret Service been confident of his safety, he would have gone ahead, been chosen as candidate in a dramatic re-entry into the race, and would probably have been re-elected instead of Richard Nixon. The decision as to LBJ’s security might well have been a close one, and had it gone the other way, the history of the last third of the 20th Century might have looked quite different. Small rolls of chance’s dice can make a big difference to history.